Hello and welcome to the BLOMFIELD SEARCH PAGE. since putting up this website 9 years ago for researching my kin....BLOMVYLE BLOMFIELD ,BLOOMFIELD, etc., I have had many requests and inquiries from folk searching for their relations, this can be a long long hard road, but so rewarding when results come through.... 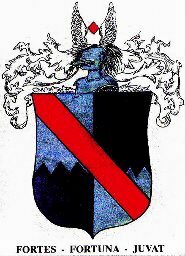 I started this website knowing naught of my Blomfield Family and now have a fantastic web of relations I never knew and our BLOMVYLE Family Pedigree is well on the way back to Normandy France., with the help of many enthusiastic Blomfield researchers! ALL INFORMATION IS GIVEN FREELY FOR BLOMFIELD ETC., RESEARCHERS AND NOT TO BE SOLD OR FOR COMMERCIAL USE! BLOMFIELD CHARLES BORN c 1851 MARRIED TO RICHMOND ANNE. COFFEE PLANTER IN COORG S INDIA. BLOOMFIELD- ANY BLOOMFIELD GENEALOGY FOR SHAUN BLOOMFIELD. BLOMFIELD THOMASINE OR TOMOSIN,M JOHN GODDARD AT HOE, NORFILK 1682- 8CHILDREN. BLOMFIELD SAMUEL M BETSY RYDER 29-4-1800 ST OLAVE, SOUTH PARK LONDON. CANADIAN BLOMFIELDS can you help? My name is Jennifer Williams and my great grandmother was a Blomfield. Her name was Lillian Ida Bessie Blomfield. She was born in London in 1884, moved to Canada and married Chestley Netterville II in 1914. Acoording to my father she had three brothers Sir Reginald, Stanley,and Charles. I am trying to find any information I can about this family. If have any information that you can pass on the me that would be greatly appriciated, or if you know of someone who may have the information and you can put me in touch with them, that would be great too. My Great Grandmother was Lilian Ida Bessie Blomfield, Born march 4, 1884 in Middlesex. England. She came to Canada and married Chestley Netterville II on April 15, 1914. Lilian’s had three brothers and one sisiter. They are: Stanley Lawford Blomfield, Cecil Henry Blomfield, Reginald Cassles Blomfield, and Winifred Beatrice jenandwade@hotmail.com.